Having been assessed by Ford Detroit’s EMC expert, we are Australia’s only Ford (and NATA) accredited automotive EMC test laboratory. Others have tried, but none have succeeded. Ford does not accept reports from EMC labs that are not on the Ford list of accredited labs. 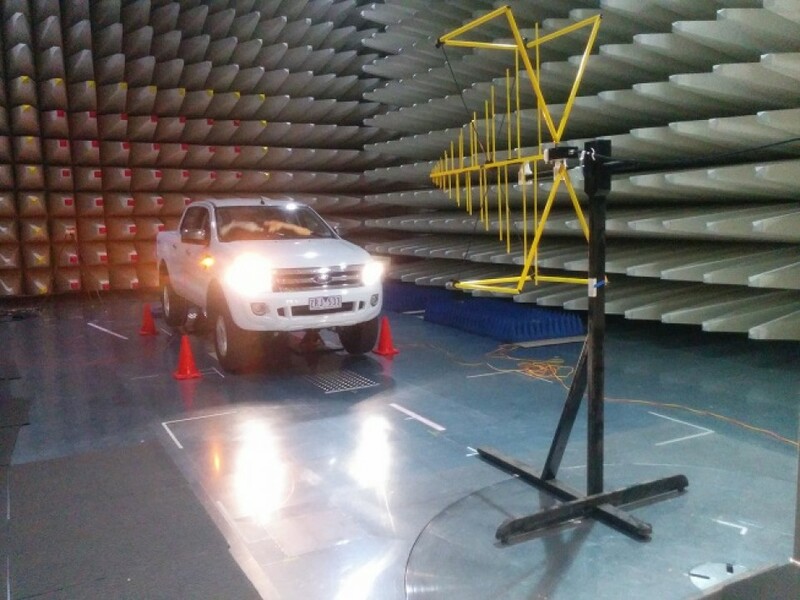 The scope ranges from component to complete vehicle level EMC testing for Australian and overseas manufacturers. 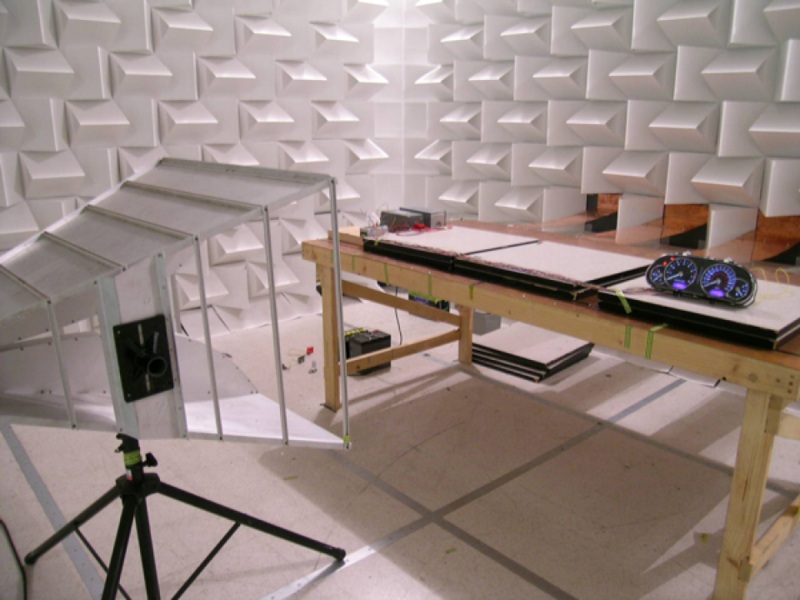 We also have a fully dedicated CISPR 25 Electronic Sub Assembly (ESA) chamber, another large CISPR 25 anechoic chamber for vehicle testing and a large GTEM for susceptibility levels in excess of 500V/m. We possess a vast array of specific automotive EMC test equipment such as BCI’s, tri-plate’s and striplines for susceptibility and emissions testing to meet the most stringent automotive EMC requirements. Our Australian and overseas customers use our labs because they know that our reports will be accepted and will not be questioned. We can provide testing services to OEM manufacturer standards such as Ford, GM, Toyota, BMW, Mitsubishi, Volvo, VW, Daimler/Chrysler, Porsche plus many more. Regardless of the manufacturer or standard please call us to discuss, there is a high chance that EMC Technologies can provide testing services. agricultural machines, forestry machines and others. Newsflash – Ford has released a new EMC standard, FMC1278. We are in the Process of Updating to FMC1278. The Ford Motor Company has developed and implemented robust processes to assure the Electromagnetic Compatibility (EMC) of the vehicle’s electrical system and subsystems. Ford requires compliance of sub-assemblies with Ford EMC-CS 2009 and has recently introduced the latest edition FMC1278. Component and subsystem EMC testing must be performed by EMC test laboratories recognized by Ford Motor Company. Ford Motor Company WILL NOT accept test data or reports from any other laboratory. After considerable investment and a comprehensive assessment by the Ford Detroit EMC division, EMC Technologies Automotive team was able to demonstrate compliance of the ISO 17025 NATA accredited facilities to the stringent Ford technical requirements and is now a recognised Ford EMC test lab, the only such facility in Australia. 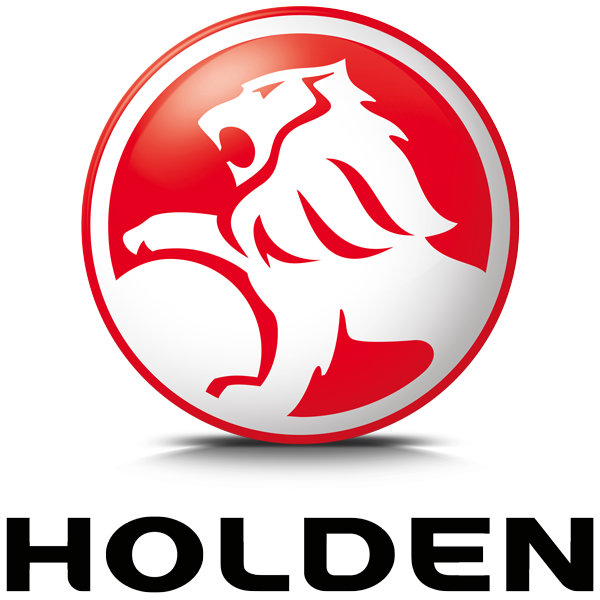 Australian automotive component manufacturers will be able to test at EMC Tech’s Keilor Park labs and avoid the very high costs associated with sending equipment and engineering personnel to the USA for extended periods. WE are the only Australian EMC Laboratory to gain VCA accreditation (currently in-active) to the European Automotive Directive 2004/104/EC for both component and vehicle level. An E-mark signifies that an automotive product complies both with the international UNECE regulations and the European vehicle legislation. EMC Technologies can arrange for necessary approvals of automotive Electronic Sub-Assemblies (ESA) and whole vehicles for the E-mark or e-mark. 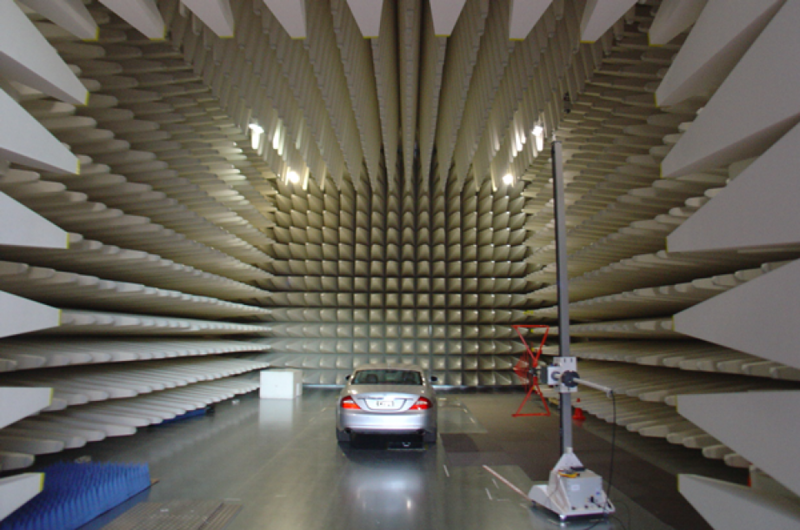 EMC Technologies has extensive experience in EMC testing of both automotive parts and complete vehicles. We can provide a complete one-stop E-mark/e-mark service. New Melbourne Safety and Environmental Testing Lab! Wireless Certification – Why use EMC Technologies?